Knowing the audience of any business will affect every decision you make while designing for the business. Not only will these people dictate what icons or colors you use, but also how you choose to portray it. It’s obvious that a webpage that’s geared towards the construction world won’t have the same effect on teenage girls and vice versa. 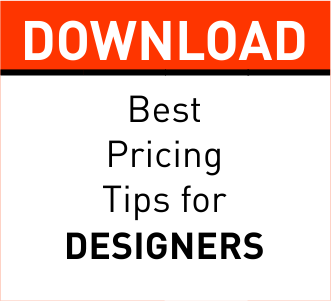 So how do you determine what kind of design will appeal to your target audience? Just like a relationship, you have to get to know them better. First things first, who are these people? Hopefully you’re a designer, and you're set to run a freelance/agency business. You at least have some inkling, specifically in terms of age, gender and geographical location. But humans are complicated and we get offended if someone doesn’t take the time to get to know us, least of all by which chromosomes we carry and how many years we’ve graced this planet. Obviously you need to do a bit of research and no, not just in the library. Once you’ve got your basic demographics down you need to determine what interests them, what bothers them and what they want from you. Finding this out could be as simple as conducting a survey, reviewing industry publications or seeing what you can glean off your competitors. From here, there’s a clever way to really hone in on what your audience need and that is by creating a persona. In a sense, once all the research has been said and done, the rest can be left more or less to your imagination. Essentially you’re creating your ideal client, people who have names, specific jobs and income, families and struggles and a psyche rife with fear, worry and motivation. But don’t just stop at one, ideally you want to create a cast of characters that will represent your target audience; after all, the plan is to eventually interact with real people and not their statistics. Giving your audience a persona is just one way to help you perceive your own brand from their perspective. If you make a PB&J sandwich, you’re only appealing to the people who enjoy PB&J sandwiches; not everyone likes them and there is really no way to make people like them if they just don’t. Though if you tried, you’d risk losing the appeal of people who do like PB&J sandwiches. And even within that group there are aspects to consider, like people who prefer more peanut butter over jelly and vice versa. Either way, if you try to alter your sandwich and cater to both parties, chances are you’ll still end up with a sandwich that appeals to one faction over the other. In layman’s terms it simply means you can’t win them all. Your design won’t be loved by everyone out there and attempting to do so will only cause detriment to your work and possibly your ego. With this in mind, pull your shoulders back, focus on a particular audience and shoot for the stars. Repeat after me, “design for my audience”. Even if this seems like a prime opportunity to experiment a little you need to pull back and consider the people, because ultimately this is for them. If your out-of-the-box creativity can be justified and has value to the project and consequently the audience, then go crazy, however if it doesn’t it’s probably best to pump the brakes on this one. The ultimate goal in designing is to get people to move. You want them to reach out to you and by using design to relate to them in a way that’s relevant to their demographic and audience, you can achieve it.